Majlis (the Iranian Parliament) speaker said on Tuesday that since long ago, big powers have been trying to deter the Muslim people and governments from following up the issue of Palestine through exhausting them and saying the cause has had no results after decades. 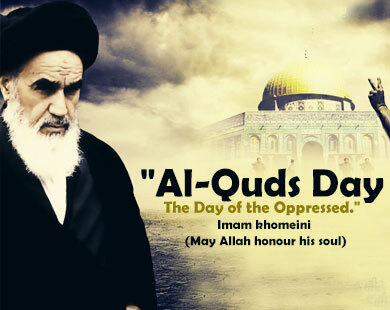 He referred to the wise decision of late Imam Khomeini to name the last Friday of Ramadan as International Quds Day, and said that the idea helped the nations not to become weary and to see it as a responsibility to follow up the issue. Palestinian Intifada which has used Islamic Revolution’s approaches is another factor to create the spirit of combating the Zionists, Larijani said. Referring to “abject” and “shameful” stances taken by certain Islamic countries seeking ties with the Zionists, he added that the weak stances have made the Zionist regime so greedy that it talks bigger than it should. He urged the people to partake in the event on Friday.